We see a lot of patients that are interested in teeth whitening. Whether you opt for in-office whitening, or at-home bleaching, whitening your teeth can build your self-esteem and take years off of your life. Unfortunately, once you have taken the time to make this improvement, you’re probably going to try and avoid stain causers like tea, coffee, and red wine. Have you ever been enjoying yourself at a party, sipping away at a nice cabernet, when you feel like the person you’re talking to can’t focus on anything but your teeth? You make your way to the bathroom, only to find that your teeth are practically purple. Your Celina dentist, Dr. Angela Ganjoor, has some great tips so that you don’t necessarily need to abstain from a nice glass of red wine now and then, just because your teeth have been whitened. Seltzer: Sipping on a little seltzer can remove stains. Swishing the fizzy elixir around in your mouth after drinking red wine can be like a magic trick. Watch the stains disappear before your eyes. 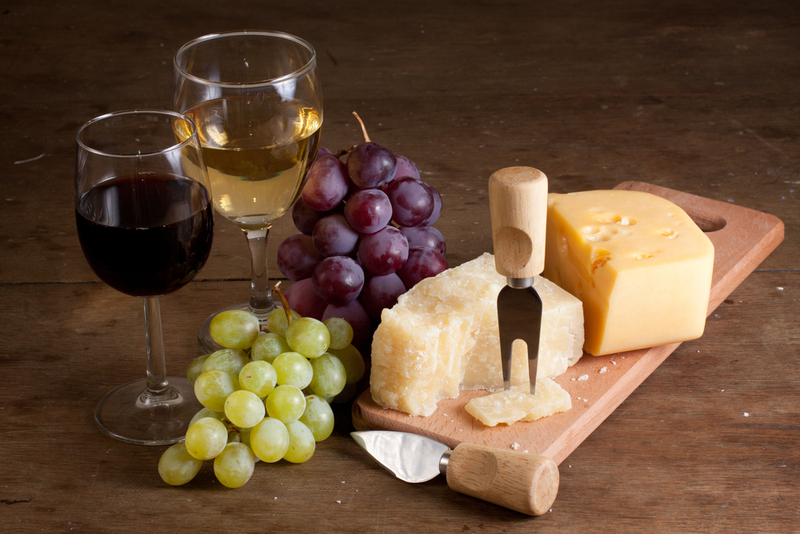 Say Cheese: Is there any better companion for wine than cheese? Often found on the snack tables at soirees, the calcium in cheese coats your teeth. This can prevent the instantaneous stains that are often seen with red wine drinkers. Crunch on Veggies: Raw veggies make great companions for cheese and wine because they are a natural tooth cleanser. All of the chewing required to eat a stalk of celery or a piece of broccoli builds saliva production which can keep your mouth free of acid and plaque. The main reason for instant wine stains on teeth is that the tannins that give wine its dark red/purple hue can stick to excess plaque sitting on teeth. The less plaque, the less stains. Don’t worry that if you whiten your teeth you’ll never be able to enjoy red wine again. If you are interested in teeth whitening, we offer the LumiBrite in-office whitening system. In just about an hour, you walk away with a brightened and refreshed smile. And if in-office whitening is not your speed, we can send you home with custom trays and professional grade whitening gel to improve your smile in the comfort of your home. To schedule an appointment never hesitate to call Dr. Ganjoor. You can reach our 75009 dental office at (214) 851-0130. We are happy to serve people in Celina, Prosper, and surrounding communities.